I've just been browsing the shows www.men.style.com uploaded today. 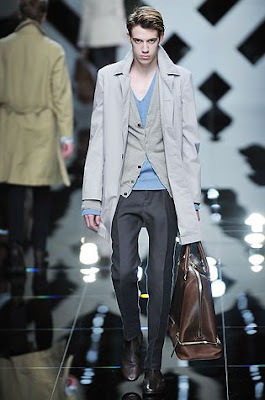 I must say Burberry Prorsum do it for me, as usual. Simple, tailored looks. You can see all the Milan shows via the link at the top. What's your favourite? I'm more of a D+G person this time around. D&G is not my cup of tea. Each to their own. The new Burberry store better have men's stuff in it. 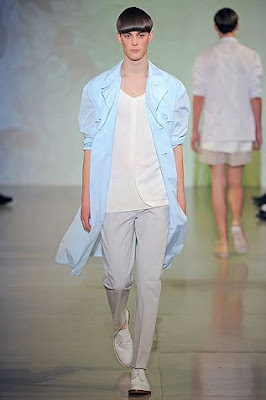 Jil Sander had quite a few nice, basic pieces that I liked and will hopefully be replicated in cheaper markets. Burberry is always exquisite, in my opinion. I liked some of the Gucci items too.